I have roughed in much of the granddaughter but it is very rough so is kind of at a funny looking stage. She does not look like "herself" but the basic shapes are there. 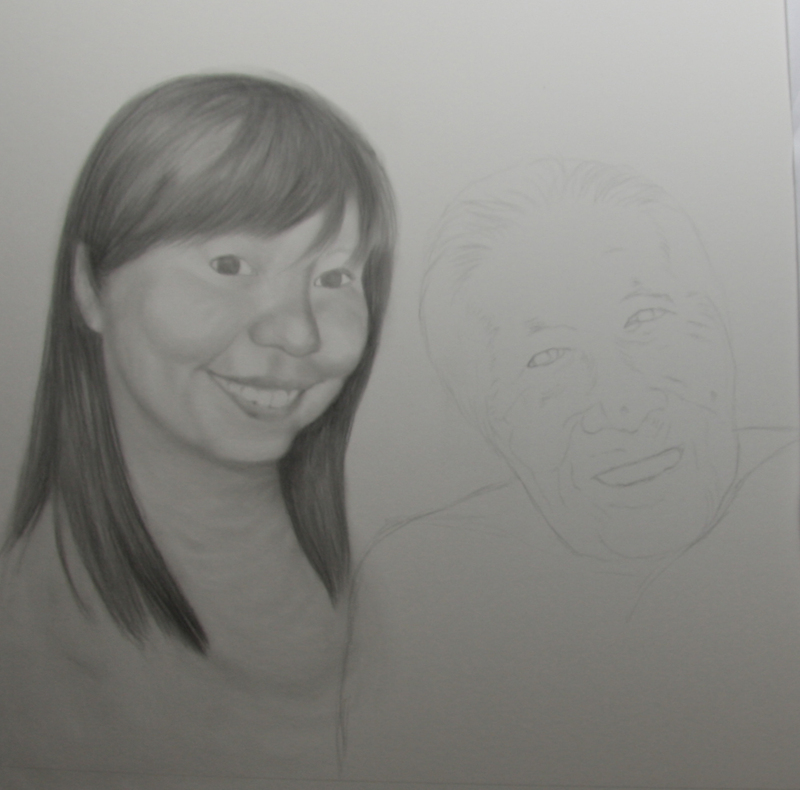 I want to wait to get a larger image to start putting in the details which will lock in her resemblance. I think it must be really hard to draw older people. Their faces (our faces? :) become so specific with age. Looking forward to seeing her take shape!